To get the maximum privacy afforded by shrubs, it is best to plant them next to each other in a hedge. Hedges can be formal or informal. Formal hedges are pruned as one unit. Each shrub is pruned individually in an informal hedge. For privacy, choose evergreen shrubs that stay dense and green all year, such as Canadian hemlock, English holly and yew. Canadian hemlock is a fast growing shrub suitable for plant hardiness zones 3 to 7. The shrub ranges in height from 6 to 15 feet and can be pruned aggressively into either a formal or informal hedge, according to the Michigan State University Extension. The needles are soft and green. The shrub tolerates sun or partial shade and requires moderate moisture. Canadian hemlock will not tolerate drought or excessive heat. 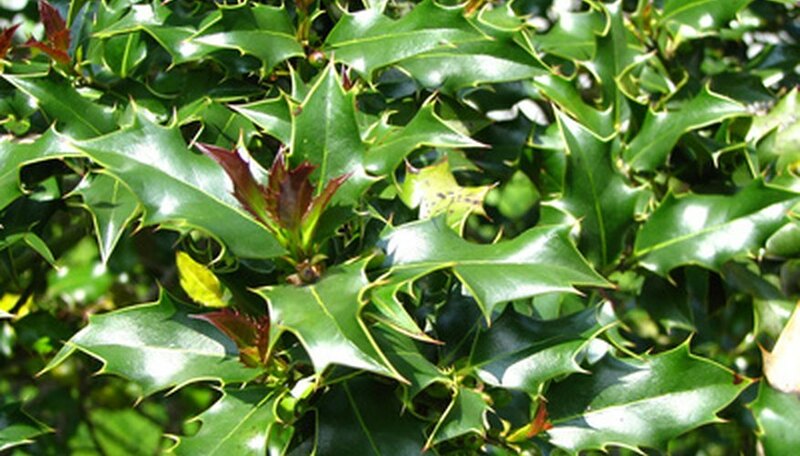 The English holly is a broadleaf evergreen shrub that is hardy to zone 6, according to “Trees & Shrubs for Dummies” by Ann Whitman and the editors of the National Gardening Association. The shrub is dense with a spread reaching 25 feet and a height of 15 feet or more. The shrub grows at a rate of 12 to 18 inches a year. The leaves are glossy and dark green. The shrub's red berries last until the winter. The shrub should be pruned in the late summer. All species of yew that grow to adequate height can be used as privacy shrubs, according to the “Reader's Digest Illustrated Guide to Gardening.” The yew has needle-like leaves. The English yew is slow-growing with dark green foliage that grows to a height of 20 feet. The Japanese yew grows to a height of 50 feet and has narrow leaves. As a species, the yew can be grown in either sun or shade and hardiness depends on the cultivar. The shrub needs protection from the wind.